Today (Aug. 10), the U.S. Department of Labor’s request to delay the Fiduciary Rule’s full implementation was revealed. As with most regulation, there are technical aspects to the delay that will likely be argued by supporters and opponents. I want to make one thing clear: We’ve already passed the finish line for fiduciary status. Undoubtedly, the rule’s documentation could be less onerous. But, we shouldn’t ignore the fact that fiduciary status is here – and, it’s here to stay. We must adapt to it. We must innovate toward it. We must improve our client experience. We must keep our clients’ interest before our own. And, we must move the retirement income community forward … now. Many people will use this announcement to recommend that we go back to the old ways of doing business. It’s too late. Clients are beginning to ask their financial advisor if they are a fiduciary. Working with the clients’ interests has always been a priority, and the way that we operate our business. Today, really since the release of the proposal in 2016, fiduciary status is a table stake, a requirement and, most importantly, an expectation. In order to be successful in business, you have to meet or exceed the clients’ expectations. The value you bring is determined by how much you bring to the client above what they paid. The client expects maximum value, so you have to look at your marketplace beyond the regulation. The market has already begun to shift toward working in fiduciary status for all client relationships. Transparency continues to grow as an integral part of pricing fees and commissions. Disclosure has become a part of the product fulfillment process. Greater client awareness and education about solutions have become part of more sales presentations. In many ways, our industry has improved more in the last 12 months than it has in the last decade. I encourage those in the retirement income space to continue the move forward toward the fiduciary world. That doesn’t mean some of the DOL’s unintended consequences don’t need to be dealt with over the next 18 months. And, moving toward a fiduciary world doesn’t mean the elimination of commissions. However, we can’t go back on our commitment to serve our clients. With the complexity of retirement, there has never been a more important time to engage with Americans and help them solve their most difficult problems – longevity and income. Please stay connected with us to learn more ideas on how to best serve your clients in an uncertain regulatory and economic environment. Ash Brokerage has been active in the comment periods, and we look forward to answering our industry challenges through innovation, education and practice enhancement. When you run a race, you never look back. 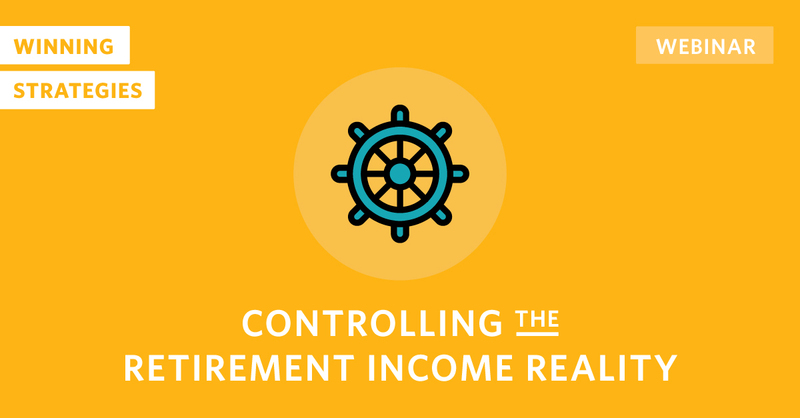 As you change your retirement income practice toward a fiduciary status, don’t look back. Keep your focus forward on improving your clients’ position, their experience with your firm, and how to best serve them.